Affair recovery is hard. Not a shocking statement to you I'm sure. There's a lot of noise about how to heal after infidelity has torn you apart. There's not a lot of real help that makes a lasting difference to you or your relationship. When you don't get the right help the recovery process is incredibly difficult. But when you work with someone who knows what they're doing...it's smooth as a baby's bottom...well kind of...there's still the other person you have to consider. 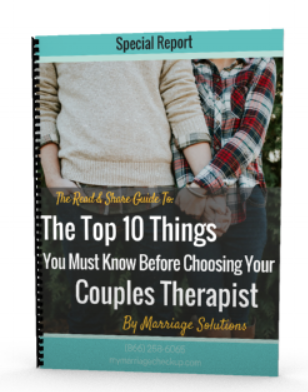 This entry is part 3 in the series of blog posts about what each spouse experiences as they recover from an affair. This post covers what betrayers typically experience. In part 2, I described what injured spouses typically experience when recovering from an affair. Part 1 discussed the 6 components of a negative cycle. Let us know if this is helpful by sharing on social media! The emotional or physical withdraw of the injured spouse. Being judged or condemned by their spouse. Blamed or criticized by injured spouse. Feeling shutoff from their spouse. I can never make him/her happy or pleased, no matter what I try to do. I can never make him/her feel better. Seeing their pain hurts me and makes me sad, so I withdrawal when I see it. I want them to know I’m not doing anything wrong. I don’t think being honest will help him/her, but only make it worse. I can’t do anything that I am certain will cause them more pain, so I avoid talking about the affair. I am worried a random trigger will pull him/her into re-experiencing the affair. I feel like a punching bag. You’re in so much pain, I don’t want to share mine with you. I don’t see how that helps you. I feel like I am such a huge disappointment to him/her. I want to hide. I hate disappointing you. I literally don’t know what I can say or do to help him/her. It isn’t enough. I don’t deserve to have my needs recognized, because I screwed up. Its my guilt and sadness that causes me to want to avoid talking about the affair. Avoid talk about the affair because they don’t want to hurt their spouse or avoid because they know their spouse is mad at them. Occasionally fight back because they feel they have their back against the wall. Powerless/Overwhelmed - How do I help you? Panic - Oh, crap feeling. Pain from knowing I broke his/her heart. Sad - I can’t believe I did this to you. Fear - I am scared of doing something that causes him/her more pain. I need to know I am not a huge disappointment to you. Feeling that way is demotivating and causes me to distance myself from you. I need to know you can trust me. I need to know you are going to be okay.